I've just spent a bit of time playing with the BBC Microbit, so I thought I'd share my experiences with you. The BBC Microbit is a pocket-sized programmable board, designed for use in education. 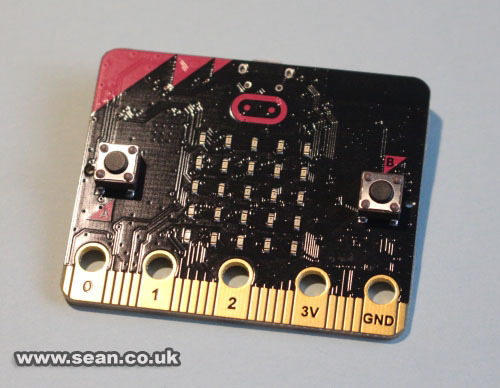 Originally, it was given out to some children in UK secondary schools, but the BBC has now established an independent foundation to look after the Microbit's future, including helping to promote its use worldwide. 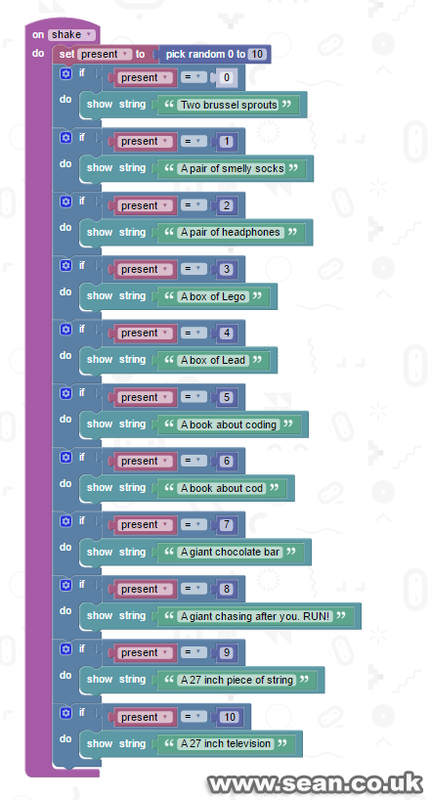 There are many things to love about the Microbit. It has battery power by design, so it's highly portable and even perhaps wearable. The board itself is compact and light, so the only real restriction is the battery pack (2 x AAA batteries). It has easy connectors for electronics projects, and a built-in compass, accelerometer and Bluetooth LE networking. The 5x5 grid of LEDs on the front is a bit more limited than you might expect (on the Amstrad, ZX81/Spectrum and other 8-bit machines, you usually worked with 8x8). But the software features a character set, so you don't have to create your own letter images (as I did with my text scroller for the Unicorn HAT on the Raspberry Pi), which is a huge plus. The BBC Microbit. The grid of LEDs is in the middle. The buttons are on the left and right. The bottom is used for connecting to other devices and circuits. To get the code onto the Microbit, you compile it, save it to your computer, connect the Microbit using USB and then copy your file across to it, like an external drive. A couple of times this failed for me, and I think it's because the Microbit will reject files that have spaces in them. That's unfortunate, because if you save the same file twice to your computer with the same name, the second time it has the filename "originalfile (1).hex". So, anyway, here's a Christmas project I made today using Microsoft Touch Develop, which you can recreate on your Microbit (or using the on-screen simulator) at www.microbit.org. It's called Secret Santa. You shake the device to open your virtual present, and see what you've won. There are ten gifts: five are for the naughty, and five are for the nice. I've had some fun coming up with the gift ideas. It takes a while for the gift to scroll across the screen, so I've made some of them start with the same words to heighten the sense of suspense. Shake the Microbit for another turn. You can press the two buttons for some Christmas messages too. Obviously, you can customise this code to display random messages on any topic when the device is shaken, and you can change how many messages there are too by altering the "pick random" block. For more Christmas fun, check out my Scratch advent calendar!